Do you want to build your own quadcopter? If so, then this is the article for you! We understand that the process can be very confusing- especially if you’re a beginner. For this reason, we’ve decided to put together an Arduino quadcopter DIY project guide. How Much Will It Cost? How Long? Keep in mind that this project will take some time as well as some hard work. If you’re not a patient person, or if you don’t follow directions well, then you’re better off buying a RTF model. With that said, if you’re still reading, then we are assuming you’re committed to this project. Let’s keep going and learn how to build an Arduino quadcopter from scratch. First and foremost, we’re going to talk about the basic parts of a drone. This will give you an idea about what goes where and how the various parts of the drone work together. Once we’ve covered all the parts, we’ll talk about the Arduino board in greater detail. We’ll then end this guide with a high-quality video tutorial that anyone can follow. Let’s get started! The frame is like the skeleton on your body- it holds everything together. There are different types of frames that you can buy- quadcopter frames, tricopter frames, etc. Each one offers its own set of benefits and drawbacks. The first item on the list for the Arduino drone frame is the RipaFi​​re® F450 4-Axis Multi-Rotor Quadcopter Flame Airframe FrameWheel Rack Kit. A variation of the F450 Frame kit, the product is made with advanced engineering materials. This makes the product more durable and gives it a smooth finish. For specifications, the fully assembled lightweight frame weighs in at 282g. Its takeoff weight, on the other hand, is between 800g to 1600g. The diagonal wheelbase of the product is at 450mm. The frame also has the power distribution board integrated on it, saving on space and additional costs. It has enough space for standard controller boards, like the Arduino UNO board. Manufacturers are very proud of the product’s high quality, making it less prone to falling while in flight. Crashing your Arduino drone, in the event, it does happen, will not be an issue. Despite being lightweight, it can handle crashes well. Several product reviews on Amazon attest to this feat, with some stating that the frame protects the motors and other components after crashing. Speaking of flying, this quadcopter frame works well with different flight techniques. These includes cruising, hovering, rolling or other aerial motions. Namely, you’ll have more fun while flying your quadcopter. It also means that your quadcopter project will be low maintenance, sparing your pockets with additional parts and repairs. The frame is very versatile, ready for any quadcopter project in mind. Whether for taking pictures via aerial photography, navigational help with First Person View (FPV), or just playing around, this frame will work with you. Long-time drone enthusiasts, as well as beginners to the craft, can use the frame for simple drone projects with relative ease. It is easy to assemble, and light on the pocket. Moreover, while the product does not come packed with instructions, there are a lot of online resources to check how to set this up. Next up is the YoungRC F450 Drone Frame Kit 4-Axis Airframe 450mm Quadcopter Frame with Landing Skid​​ Gear. A great frame for your Arduino drone, the product comes with landing skid gear, a welcome addition to your quadcopter project. For specifics, the frame is measured at a height of 55mm; with a total width of 450 mm. Without electronics attached, the quadcopter frame weighs in at 280g. Moreover, similar to most quadcopter frames, it can fly with a takeoff weight of at least 800g. This offering from YoungRC is made with quality glass fiber and polyamide nylon. The combination gives the product fantastic durability and strength. It is also able to stay intact even after a rough crash. A good asset for your Arduino drone project. PCB connections are integrated on the product's bottom frame. This makes for more comfortable and direct soldering of the ESC, motors, power supplies, and other wirings. The bolts on the frames are also pre-threaded with brass sleeves for easier and accurate installation. Installation space is also a great feature with this frame. It has enough space for most flight control systems, like the Arduino UNO board. The bottom frame also gives adequate room for several accessories, like cameras and other sensors. Additionally, the frame allows these to be installed with relative ease. For its price point, this frame offering from YoungRC is an excellent deal and a recommended piece. It has the durability and strength needed for your Arduino UNO quadcopter project. It also has a quality comparable to most quadcopter frames on the market. The inclusion of the landing gear skids adds more value to this already affordable product. Click here if you are interested in buying the product. Last on our recommended frame list, but certainly not the least, is the Usmile F450 Quadcopter Frame Kit with Integrated PCB Wiring. It has a simple yet efficient design, easy to assemble and repair, and can be used by almost anyone who is into drone flying. While having the lowest price point among the bunch, it certainly does not skimp on quality. Like the other two, the product from Usmile is made with a combination of glass fiber and polyamide nylon or PA66. Thus durability and resistance to crashing can be guaranteed with this product. As for measurements, it has the typical measures of the frame type. It weights around 300 g, with a wheelbase of 450 mm. It can take off carrying between 800 g to 1200 g of weight so that it can handle several accessories at once. Speaking of accessories, not only can it carry more, but it also has enough space to load them on. The frame also allows for easier installation of these accessories. This means swapping parts on your Arduino Quadcopter DIY project is a breeze. Additionally, as the product name suggests, the top and bottom parts of the frame has PCB wiring integrated on them. This makes connecting the motors to the Arduino UNO board and other parts a painless process. Long-time drone enthusiasts will be happy to have this product as a part of their quadcopter project. Even those who are starting on the craft and working on their first Arduino drone will appreciate the product, especially for its price point. It can also be used as spare parts if so desired. Here is a link for the product for purchase. The motors are what will propel your drone into the air. Without motors, you’re not going anywhere. Motors range in size and power, so you’ll need to do further research and find ones that match your goals. Starting off the list is the FPV Racing Qua​​dcopter Motor ESC Combo offering from Hobbymate. The package provides two sets of 2204 brushless motors – one for clockwise rotation, another for counterclockwise rotation. These motors are measured at a length of 32.2mm and a weight of 25g, with a maximum thrust of 440 G.
The manufacturer boasts that these are perfect for FPV (First Person View) QAV (Quality Audio and Visual) quadcopters, like the quadcopter project you are working on. Design-wise, metal parts are made with high precision CNC machine cutting. They are designed to have a low center of gravity that decreases the internal vibration as the motor runs. It also helps the Arduino drone last longer while flying. Looking deeper into the motors, they are built with air-suction system design and rapid cooling functionality. Combined, these provide higher efficiency and longer machine life. Bearings used for the motors are high-quality Japanese types, with u-clips installed to ensure they will not loosen or derail. This set also comes packed with 4 BLHeli 15A Electronic Speed Controllers or ESC, giving you two critical parts for the price of one. These ESCs support high-speed control and bi-directional rotation. Its n-fet design has external oscillators that help keep the motors performance at a steady pace. It also regulates the motors across a wide variety of voltage and thermal conditions. Regarding power, these speed controllers will not disappoint. With an input of 2-4s Lipo, they run at a constant 15 Amps, with a burst output of 25 Amps. Just make sure that the input power of the ESC is connected properly, as the ESC could be damaged with incorrect connections to the battery. Check out the package here. Next on our list is the EMAX RS2205 2300KV Brushless Motor 2CW 2CCW from Crazepony. This 4-piece brushless motor set has been upgraded to add features that multirotor racing aficionados will surely appreciate. Even those who are into simple drone projects will enjoy the propelling power it will provide. The first of these upgrades is the higher thrust the motor has. When used in conjunction with either 4S or Gamfan 5045 Bullnose Propellers, the engines can reach produce up to 1000 g of thrust. This is stronger than most motors on the market. Another improved feature of the product is its faster and better response. It uses High-quality N52 magnets, giving it better acceleration and stopping power. It also allows for sustained rotations during flight. Additionally, it has fins attached on its bell to draw up the fresh air in the motor and through the coils. It keeps the internal temperature of the motors in check, avoiding overheating. This, in turn, prevents the product working efficiently and longer. Looking at the specifics of the product, these come in at a height of 31.7mm, with a diameter of 27.9mm. It also weighs in at around 30g with the wires installed. It can handle 3S-4S, or 12.6v to 16.8v, in input voltage. Setting these up is not going to be a hassle. Aside from secure connections to the frame, the motors have indicators which ones run clockwise or counterclockwise. While it does not come with ESCs like the other offering, its features should still make the motors a good deal for its price point. This should be an excellent addition to your Arduino drone project if you so wish. Click here to get the product. Rounding up the list is this 4-piece brushless motor set from AOKFLY. Available in 2300KV and 2500KV types, these motor sets can be ordered in either purple or red. Built for racing drones in mind, the motors are made with high-quality materials and parts. Some of these include the N52SH curved magnets, as well as original bearings and strators from Japan. This means the motors are expected to work with your Arduino drone quadcopter project as long as you can use it. Another feature the product boasts is its internal cooling system. As with the previous product, it also has a bell-type cooling system that draws fresh air from the base to the whole system. With this system, the motors can work at its top performance without the risk of overheating or breaking. To add to its list of features, it is also very lightweight. Weighing in at only 29g each, these powerful motors should not add significant weight to your Arduino Quadcopter DIY Project. Like the last entry, it also does not have ESCs bundled with the package. Based on reviews for the product, these motors can work well on 4S batteries. Additionally, they do not drain batteries that much, giving you more time to fly and have fun with your Arduino quadcopter. The product offering from AOKFLY is the most affordable option from the list. However, it is still comparable in quality and performance to the other motors featured. It provides choices regarding voltage and in colors, so the engines can match the aesthetics of the project you are working on. Purchase the product via the link here. You will need one electronic speed controller for each motor- so four in total. The ESC is the thing that will sit between your Arduino quadcopter flight controller and motors. Ripafire provides us with our first option for Electric Speed Controllers. The 40A 2-3S LiPo ESC Brushless Speed Controller packs much power in its small frame and is a perfect fit for the brushless motors of your quadcopter project. Made with top quality materials, this ESC guarantees muscular current endurance every time it is used. It runs at a continuous current of 40A, with a burst current of 55A. What's right about this is that all of these are running from 2-3S Lipo battery cells. As a Battery Eliminator Circuit or BEC, an additional battery pack for the connection will not be needed. It also has a linear BEC, with an output of 5V, 3A. its output capability stands at five servos for 2S LiPo, while four servos for 3S LiPo. The product also has security and safety features to protect your drone. It has a low voltage cut-off protection, saving your battery from being fully discharged and from possible harm. It also has protection against overheating and from throttle signal lost. Speaking of throttle, the throttle range of this speed controller can be configured to get the best output possible. It is also fully compatible with most, if not all, available transmitters on the market. According to customer reviews, it is a durable product for its price point. It does not overheat even after extended use, though it could get warm after some time. One review stated that the ESC will still work fine after multiple drone crashes. Based on the specifications of the product, as well as reviews online, this brushless speed controller from RipaFire will be an excellent addition to your Arduino drone project. It is a robust, stable and durable ESC that will service your Arduino quadcopter very well. Purchase the product by clicking here. Next product we want to look at is this offering from Hobbypower. While it scales lower on the power side, the 30A Brushless Speed Controller ESC for Multicopter Helicopter Airplane could be a good budget option for some. Let's start looking at the product's specs. This Electric Speed Controller runs with a constant output of 30A and can boost up to 40A for up to 10 seconds. Its input voltage, on the other hand, is 2S-3S LiPo batteries, or 5-9 cells of NiCd/NIMh batteries. As a Linear type of BEC speed controller, it has a capacity of 1A /5V. It has a maximum speed of 210,000rpm for 2 Brushless Motor poles, 70,000rpm for six poles, and 35,000rom for eight poles. The speed controller is compatible with most quad rotor drones, like the Arduino drone we are working on. Reviews for the product are quite mixed. While many positive reviews are stating that the product works well for its price, some are negative. Most negative reviews point out that the product gets fried fast, though these may be due to improper wiring. The seller also advised against connecting the ESC on ten cells of NiCd/NIMh batteries, as it would undoubtedly get fried. As mentioned earlier, this speed controller will be a great budget friendly addition to your Arduino quadcopter kit. It offers a low-cost alternative to most ESCs while providing decent speed and throttle. Seasoned hobbyists can pick this one up as a spare piece, or as a tester of sots. First time quadcopter project takers may want to start on with this as well, so they can test the waters without breaking the bank. Click her​​e to get the product. The last electric speed controller we are going to look at for our quadcopter project is this offering from RC Electric Parts. Another 40A powered product, the 40A RC Brushless Motor Electric Speed Controller ESC 3A UBEC with XT60 & 3.5mm bullet plugs is proving to be a great package indeed. A feature the product boasts is the inclusion of an XT60 plug and 3.5mm bullet plug on its setup. The addition of these plugs means you don't need to purchase them individually. It also saves you from installation, therefore saving time and effort. While the first two speed controllers have Linear BEC, this particular product uses 5v / 3A UBEC or Universal BEC. UBEC is usually used when your ESC does not have a BEC built in, or if a standalone power system is preferred. This efficient setup allows the ESC to power not only the motors but also the servos. Looking at its specifics, the product has a continuous output of 40A and can burst up to 60A for up to 10 seconds. It is powered by 2S-4S LiPo Batteries or 5-12 NiCd/NiMh cells. It is also lightweight, weighing in at 48g. Additionally, the product is made with several protection systems in place. This includes protection for low battery effects, overheating, startup throttle problems, signal loss, and abnormal voltage. Despite having the highest price point among the products we checked, this product packs the most for its price. Already a relatively strong speed controller, the additional features and the inclusion of the plugs make it a strong candidate for our Arduino drone. Get the product by clicking here. Keep in mind that four ESCs are needed for the quadcopter project, one for each motor. Every quadcopter contains exactly one battery and four motors. So, how does the quadcopter know how much power to deliver to each motor? Matek systems are offering a high-quality power distribution board for your Arduino drone. The HobbyKing Matek PDB-XT60 w/BEC (5V and 12V) is guaranteed to provide the best regarding reliability and quality performance in a compact package. The actual 4-layer board has a measurement of 36mm x 50mm. It weights 7.5g without the XT60, while 11g with it installed. Matek Systems' PDB has a total of 6 ESC solder tabs and can fit on most H-type and X-type frames. It also has an XT60 connector for secure connection to LiPo batteries. This power distribution board is built to distribute the power from the 3S to 4S battery to the speed controllers. It has the ability to handle up to 4 25A ESCs running at a constant rate. However, it does not have an On Screen Display or OSD. It also provides regulated 5V and 12V currents to power the parts of the quadcopter project. These include the cameras, servos, flight controllers, LEDs, Video Transmitters, and other pieces of the Arduino drone. While some frames have PDBs included on them, getting a separate board for your quadcopter project will be a proper consideration. A dedicated PDB may provide additional power regulation and distribution for your Arduino drone, and this is one good option for the part. Get the product from the link here. Another Matek Systems creation, the PDB Supports 3S Battery for FPV Racing Drone HUB5V12V is another good option for your Arduino drone power distribution board. The board is made with 2oz of copper and has four layers. It measures 36mm x 36mm, with a weight of 6g. It can distribute 5V and 12V power to up to 4 speed controller outputs. The 5v output provides 3A of power, is suitable for remote receivers, flight controllers like the Arduino UNO, OSDs and servos. The 12V ports, on the other hand, run at a current of 2A and is for cameras, video transmitters, and other high-power pieces. While this may seem like a downgrade from the earlier entry, it makes up for it by having a higher power range. Its power input range from 2S to 6S LiPo batteries, or 7.2V to 26V of direct current. Aside from this, the PDB has dedicated soldering outputs for other accessories of your Arduino quadcopter project. This includes outputs for cameras, LEDs, servos, video transmitters, and others. It even has solder bridges for specific voltages for video cameras. If you are building your quadcopter project with racing in mind, this will be the perfect board for the task. As part of your Arduino quadcopter kit, this board can provide your power-demanding accessories with the power they need. Click the link here to buy the product. Lastly, there’s the flight controller. This is considered the “brains” of the operation. 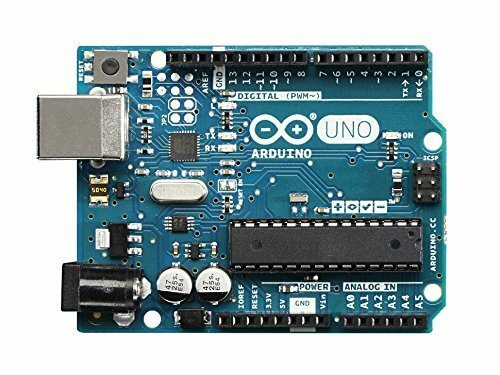 The reason I recommend the Arduino board is because it’s one of the best boards you can use. While very durable, this flight controller is not invincible. There’s always the chance that you will fry the chip, so be careful. Using the Arduino software, you can program the board to do whatever you want. On the low end, your Arduino quadcopter project will cost about $300. This is if you find some good deals and get the cheapest possible parts. On the high end, it will cost closer to $900. This will include higher quality parts. As for the timespan, it depends on the individual. Some people can have it built within a few hours while others will need more time. The process is fun either way so the time should fly (no pun intended) while you build it. Does all this sound too overwhelming? If so, don’t worry because you’re not alone. Some people aren’t ready for a DIY drone project, and that’s okay. But if you still want to get in the air, then check out some of these ready-to-fly models. They require no assembly and can be flown straight out of the box. If you have any questions, leave them in the comments section below. Thanks for reading!